Push Fitting~3/4'' Elbow Bag of 4 Lead Free! 3/4" Push Fitting-- Elbow (bag of 4). Push fittings are lead free, and made to meet PW and ASNE standards. Max. Pressure 200 psi, Temp. Range 0 Degrees to 240 Degrees F. Special Features Connects Copper, Pex and CPVC in any Combination without the Use of Soldering, Unions or Glue. 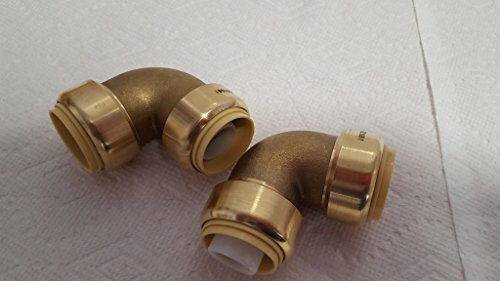 Push Fitting~3/4" Elbow Bag of 10 Lead Free!